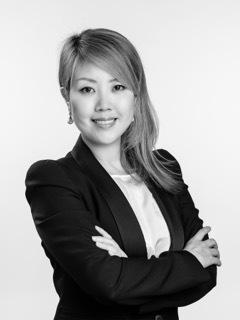 Lauren Nan is the Founder and Senior Managing Partner of SilkBridge & Co and manages multiple businesses in China. She is multi-lingual and speaks Chinese, Korean, Japanese, French and English fluently. Why does Lauren want to be the Ambassador of PBWN’s Zurich Chapter? I am passionate about sharing business strategies and new opportunities with like-minded people. I strongly believe that we will grow exponentially when we stay connected and surrounded by an entrepreneurial mindset community as they can hold you accountable with each of their know-how in various business categories. Nowadays there are more and more female entrepreneurs all over the world and they are interrupting in various industries in a positive way. I felt that most business women have a different attitude than men and they have great sympathy for them and to help each other out. I have already experienced so many times within my network. That’s why I was looking for an opportunity to create a female entrepreneur’s network so that I can provide a platform where business women can meet regularly and share their opinions, challenges, desires or success to grow in their field. But more importantly, all the business owners can benefit from having more business leads via networking, identify best practices by communicating with each other, stay on the cutting edge of technology and new business trends, increase confidence by pushing yourself to talk to people you don’t know and lastly, “it’s not WHAT you know, but WHO you know” when it comes to building successful business.